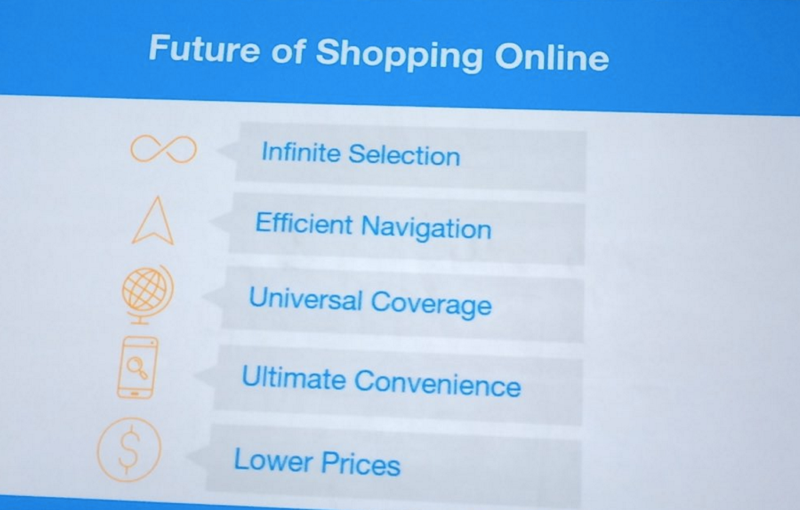 Even though having a fantastic run that is going strong for years now -and being the undisputed online market leader in the US and other Western markets no less!-, Amazon is not the end state of all of e-commerce. Look at, for example, other online retailers like Alibaba or Zalando, not just for how to compete with Amazon but also for how to do things differently. 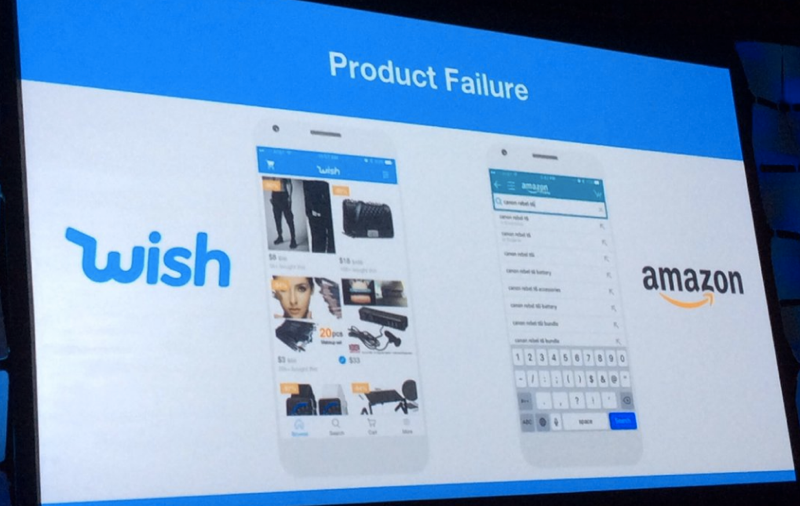 Even a fast growing newcomer like Wish can show us what can be done differently and thus what markets might still be underserved. Now, Wish is controversial. 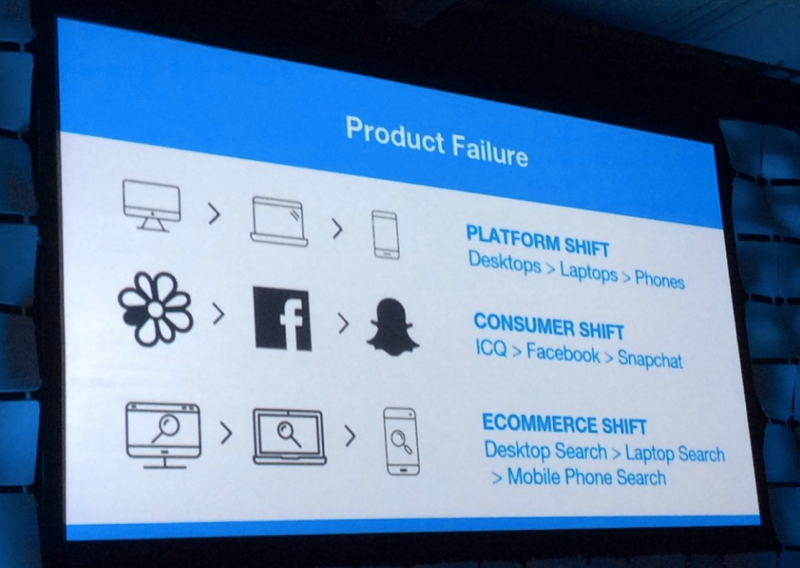 But still, Wish is, for now, successful and the company has a divergent vision about the retail of tomorrow than what is mainstream today. 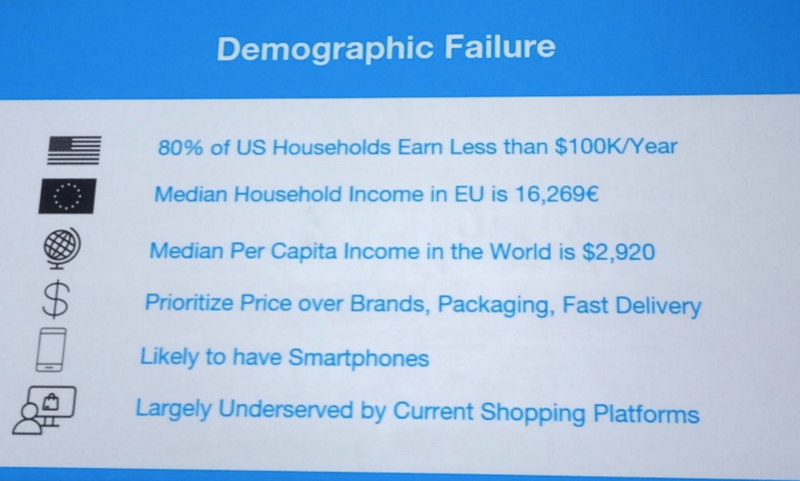 Wish founder Peter Szulczewski gave a talk this week at the Shoptalk conference about the „The Failure of E-Commerce“ in which he layed out what, in his view, the biggest omissions of today’s ‘elitist’ online retail are. “Why has Wish grown to 2 million orders per day?”, he asked. Even with single item orders with a low single digits value: With 2 million orders per day, Wish is generating billions in GMV. Make sure to watch the interview with the Wish CEO at last year’s Recode Code Commerce conference.